The Bal Dosts didn't have a single thorn, not one, but they all had amazing roses and buds. 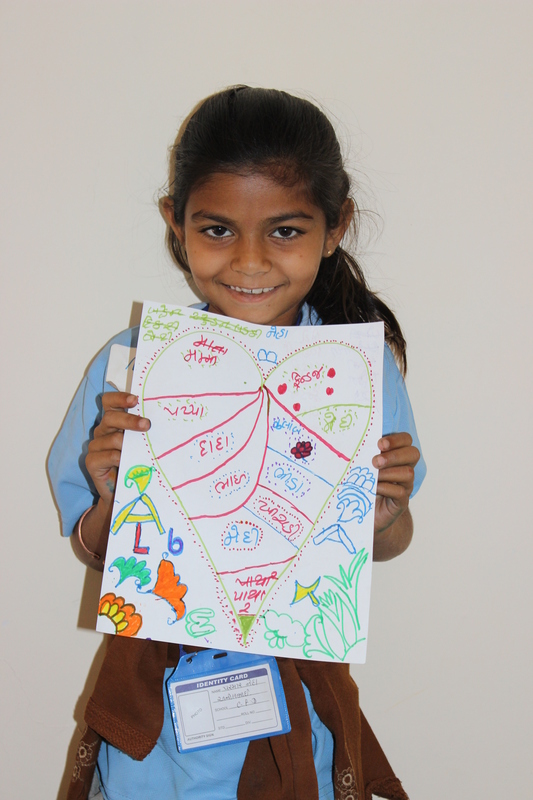 Trupti shared that she is so excited to have many new games and activities to do with the kids. She said she never knew these activities existed and she can't wait to share them with all the children at her Learning Center. Both Hanifa and Sajeda shared their excitement about taking the read aloud back to their kids and watching their curiosity and imagination flourish as they explore new worlds. Rafi's rose was that these children, who are so often not allowed to express themselves were finally brought into a safe space where they could play, dance, sing, write, listen to stories and find joy, hope and friendship. Leah and my reflections were similar. Our thorns are that we must leave these amazing children and women and that we wish we had the time to delve even deeper into all their stories. Our roses are that we had the privilege to watch the children and the Bal Dosts grow and learn with each day, and that we had the opportunity to learn from them as well. Our buds are that we can't wait to take the amazing momentum from LitCamp and launch LitClubs officially here in India.